Ever since it was announced that Netflix is reviving Gilmore Girls, fans of the beloved series haven’t been able to contain their excitement. It certainly is thrilling news for those who will forever hold a special place in their hearts for Rory, Lorelai, every other character and, of course, the town of Stars Hollow. More: Gilmore Girls reboot: Where did the relationships end? So, until fans can actually sit down and binge the episodes, let’s keep track of everything we know so far about the GG revival. This revival trailer is everything fans could’ve hoped for. All four episodes will officially be released on Friday, Nov. 25 at 12:01 a.m. PT. The revival is set in the present, which is around eight years after the series came to a close. Basically, every single character Gilmore Girls fans know and love is returning, including Lorelai, Rory, Emily and Luke. 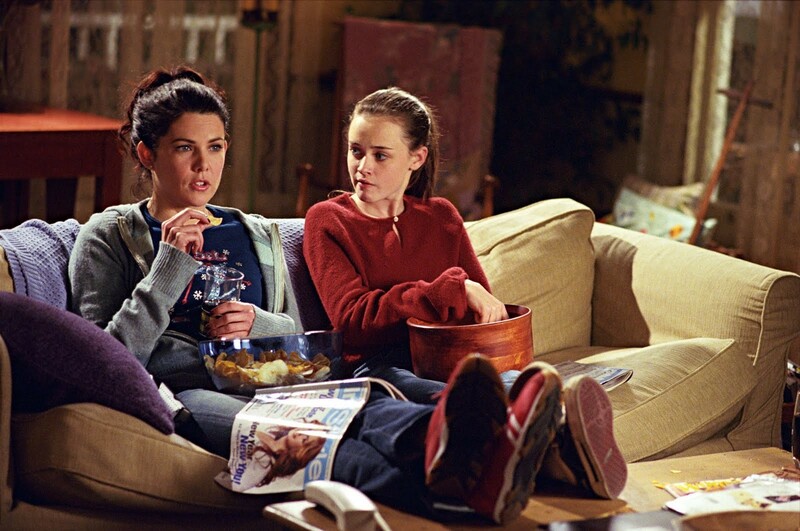 More: QUIZ: Think you’re the biggest Gilmore Girls fan? Prove it! Yes, all three of Rory’s major love interests will make an appearance. It’s unclear who she will end up with (or if she’ll end up with any of them), but Dean, Jess and Logan are all returning. Original series creator Amy Sherman-Palladino and executive producer Daniel Palladino wrote all four episodes. Each of them also directed two of them. 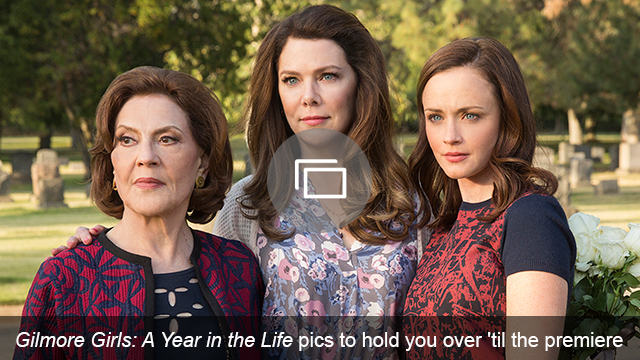 The revival is titled Gilmore Girls: A Year in the Life. The infamous final four words ASP had planned since the very beginning will finally be revealed. They will also be exchanged between Lorelai and Rory. As Lauren Graham told Entertainment Weekly, the final four words don’t bring closure, but actually set up some type of a cliff-hanger. Thanks to Entertainment Weekly, fans can get a better view of the revival through these sneak-peek photos. After all these years, Luke and Lorelai are still not married, EW revealed (via TV Line). As frustrating as that is, there is going to be a wedding, so maybe it’s theirs? Seeing as Edward Herrmann died in 2014, his character Richard will no longer be part of the GG universe. Kelly Bishop told TV Line that when the revival begins, four months have passed since Richard’s death. From Parenthood‘s Mae Whitman (yes, she is reuniting with her TV mom Graham), to Younger‘s Sutton Foster, to Bunheads‘ Stacey Oristano, to Scandal‘s Dan Bucatinsky, there are a lot of new characters popping up in Stars Hollow. Despite all of that drama over whether or not, and why McCarthy wouldn’t return as Sookie, that’s all over and done with. She is back as Lorelai’s best friend — thank goodness. Just look at that cup of coffee. It’s just so GG. In this photo shared by Entertainment Weekly, it’s good to know that Lorelai’s infatuation with snow hasn’t gone away. Also, can we talk about how beautiful this photo is? Hmm… what are these two so shocked over? Is Kirk showing a horrible movie at the Stars Hollow movie theater? Does it have to do with all that baby talk? Whatever it is, Luke and Lorelai are really surprised. Based on the above photo released by Entertainment Weekly, Emily, Rory and Lorelai are all at the cemetery. I can only imagine this is in relation to the death of Richard. If this photo is making me emotional now, I can only imagine how I’ll feel seeing it play out on-screen. Thanks to Entertainment Weekly, fans will feel so much excitement over seeing Rory and Lorelai hanging once again with Luke at his diner. Also, take note of Lorelai drinking coffee, those holiday decorations in the background and how Luke is still wearing his famous hat. In a September interview with Us Weekly, Alexis Bledel revealed that despite all of the speculation over Rory possibly being a teacher, she is definitely not. “She has been working hard, as she does,” Bledel said. “She started her work as a journalist at the same time that newspapers were going away. Her field changed dramatically as she was just kind of getting up and running. So that’s where we pick up with her.” She added, “It’s real time, so it’s been about eight years that she’s been living a bit of a vagabond lifestyle, kind of chasing each story that she becomes passionate about and wants to tell.” Everyone feel better now? Just in time for National Coffee Day on Thursday, Sept. 29, this poster — featuring Lorelai, Rory and of course, coffee — was released. While chatting with Bustle, Parenthood star Sarah Ramos revealed that not only did she visit Lauren Graham on the set of the GG revival, but she also filmed a scene. She doesn’t have any lines, but may be spotted in the background at some point near the gazebo. Here’s hoping she just happens to be in the same episode as her and Graham’s other Parenthood co-star, Mae Whitman. Scott Patterson revealed at Entertainment Weekly‘s pre-Emmys party (via E! News) that Luke and Lorelai will have some steamy scenes. He said, “There are definitely some fireworks there. We did some really intense adult scenes. Since the movies are only an hour and a half long, it has way more detail and the writing is deeper and seems longer, so it sort of changed.” Well, that sure sounds like something fans will enjoy. Oct. 5 was the 16th anniversary of Gilmore Girls, and what better way to celebrate than with a new video featuring past footage and the cast talking about the revival? Despite no new footage being shown, there are short interviews with the cast about their characters and what they love about the series. Netflix released four posters for the revival, which appropriately feature the four seasons. They are beyond beautiful and partially thanks to Rory and Lorelai. 26. Is this Paris’ job? This photo seems to hint at Paris Geller’s job. Could she be the new headmistress at Chilton?